Sir David King was Professor of physical chemistry at Liverpool University and later at Cambridge. He became a Fellow of the Royal Society in 1991, Foreign Fellow of the American Academy of Arts and Sciences in 2002 and was knighted in 2003. So there we have it. Directed by Sir David King, here is an organization established to control the climate of a planet. King doesn’t appear to know that the Earth experienced a glacial maximum when carbon dioxide levels were much higher than they are today. King believes that the Earth is warming dangerously because of rising carbon dioxide levels from human emissions. It isn’t! There has been no global warming for at least 16 years. King doesn’t appear to know that, even if warming resumed, flora and fauna flourish during warm periods and tend to struggle during colder times. King doesn’t appear to know there is no empirical evidence to justify his statement, but he just had to continue with the hyperbole. “In my view, climate change is the most severe problem that we are facing today—more serious even than the threat of terrorism,” he said. Perhaps King hasn’t been told that global temperatures attained during the current interglacial are lower than maxima attained during the previous three interglacials: In 2008, Gabrielle Walker and Sir David King collaborated to produce their alarmist book: The Hot Topic. How to Tackle Global Warming and Still Keep the Lights on. 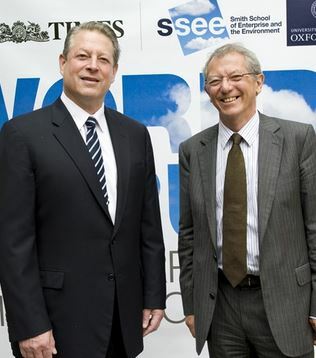 Apparently Al Gore (left, with his English friend) commended Walker’s book, as did Tim Flannery (of course), and the authors assure readers that they “have no personal axes to grind.” Reviewer Tony Gilland cautioned that readers would not be offered any balanced viewpoints in Walker and King’s book. Rather they can expect many references to “climate fear”, “bleak outlooks”, “catastrophe”, “grave dangers to our civilization” and the threat of the Greenland Ice Sheet melting. King continues to promote the silly notion that we can somehow regulate atmospheric carbon dioxide and control the Earth’s climate by reducing the extremely low levels of carbon dioxide produced by human activity. Was he aware of, or did he choose to ignore, the 97% input of carbon dioxide from natural processes such as ocean venting, decomposition of organic matter and volcanism. Sir David might get a shock if he finds out how much carbon dioxide and methane is produced by termites. What is ridiculous is King’s assertions that we know and fully understand all the processes involved in climate change and that anthropogenic carbon dioxide emissions are essentially responsible for global temperature change. If King continues to promote such a simplistic storyline he is in danger of being regarded as the Enid Blyton of climate science. King warned, again with no evidence, about the prospect of flooding, coastal erosion and heat-related deaths whilst doffing his cap to the now discredited Intergovernmental Panel on Climate Change (IPCC). On May 2nd, 2004, in a remarkable piece of unsubstantiated alarmism, King told The Independent on Sunday that Antarctica is likely to be the world’s only habitable continent by the end of this century if global warming were to remain unchecked. Such alarmist statements made by King leads one to suspect that he knows little about the climate/paleoclimate literature. His stated belief that the Earth is entering the “first hot period” for 60 million years removes all doubt. For most of geologic time, average global temperatures have been up to 10c degrees higher than current temperatures and the planet has cooled steadily since the end of the Cretaceous Period, around 65 million years ago. Cooling however has been neither continuous nor uniform. Greenland ice core records show that current average global temperature is certainly not the highest over the last 15,000 years. Furthermore, we are currently experiencing a mild interglacial phase of an ice age and a return to cooling is a distinct possibility. Yet again, King displays his ignorance. There is absolutely no evidence that the Greenland ice cap is in danger of melting, leading to a one- or two-metre rise in sea level. King should also take note that sea level has remained relatively unchanged over the last 40 years. 24. The IPCC Chairman Dr Rajendra Pachauri claimed that the InterAcademy Council, established to investigate the IPCC, found the IPCC’s work to be solid and robust. In fact the IAC concluded that there were significant shortcomings in each major step of the IPCC’s assessment process. Surely King must also know that the Michael Mann hockey stick graph purporting to represent recent dramatic global warming has been rejected by the broader scientific community and, once widely championed by the IPCC, Mann’s graph has now been quietly dropped. King must also know about failed IPCC computer predictions, that oceans are not warming and that the planet has not warmed as alarmists, like himself, have loudly proclaimed whilst carbon dioxide levels continue to rise. Of more interest, he must also know that his personal credibility is now on the line. Surely Sir David would never distort climate science to support an agenda! King actually added, not in reference to himself, of course! Surely Sir David would never overstate the science! Some clearly think he most certainly has and will continue to do so. In 2008 a letter to Robin Butler, Master of University College, Oxford, from Rupert Wyndham outlined why he refused to make further donations to the college. It appears that Wyndham was not at all happy about a certain appointment. Apparently it was all about the fact that Sir David King had been appointed Director of the SSEE at the University of Oxford. It appears that Sir David King has since wet his finger, held it aloft and found the wind to be blowing the way of the climate-change rationalists. He sometimes modifies his message accordingly. For instance, when challenged about his previous statement about climate change being a bigger threat than terrorism, King simply said that he provided that particular “sound bite” to put climate change back on the public agenda. He wanted to get the media interested again and to get many more people in positions of authority to raise their voices. Of course Sir David would never cross the line into advocacy, not ever! Vested interests? No mention by Sir David of the SSEE’s existence being linked to the promotion of climate alarmism; pressure from environmental groups to de-industrialize the world; governments seeking an excuse for further revenue raising; governments of island nations looking for compensation for imaginary sea level rise; individual scientists and institutions which stand to gain billions of dollars in research funding by perpetuating the myth of catastrophic anthropogenic global warming, those making money by allowing wind turbines to be built on their land or those in the wind and solar industries, manufacturing inefficient devices incapable of producing base-load power. King also failed to mention the tirades of abuse directed toward those skeptics who have argued for the integrity of science whilst exposing the many examples of IPCC malfeasance. Perhaps King can be excused since he lacks the expertise (or the will) that would have enabled him to see how the IPCC has systematically abused the scientific process. If Sir David is still inclined to offer succour to the IPCC, he would be well advised to read investigative journalist Donna Laframboise’s meticulously referenced books: The Delinquent Teenager Who Was Mistaken for the World’s Top Climate Expert and Into the Dustbin: Rajendra Pachauri, the Climate Report & the Nobel Peace Prize. He would quickly learn that the IPCC is a political/ideological organization that cannot be trusted to report in an even-handed way about climate science and should be closed down. He would also see why the Chairman of the IPCC should be instantly dismissed. 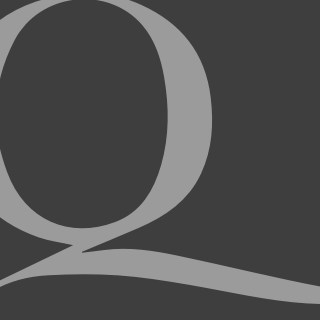 Why doesn’t King know that the IPCC was established to prove pre-ordained conclusions about catastrophic anthropogenic global warming whilst ignoring the substantial body of contrary evidence? It’s not only journalists who appear to have been suckered. So have many politicians and scientists. It appears that the latest IPCC AR5 report will cut back on the alarmism saying that the temperature rise we can expect as a result of man-made emissions of carbon dioxide is lower than the IPCC thought in 2007.